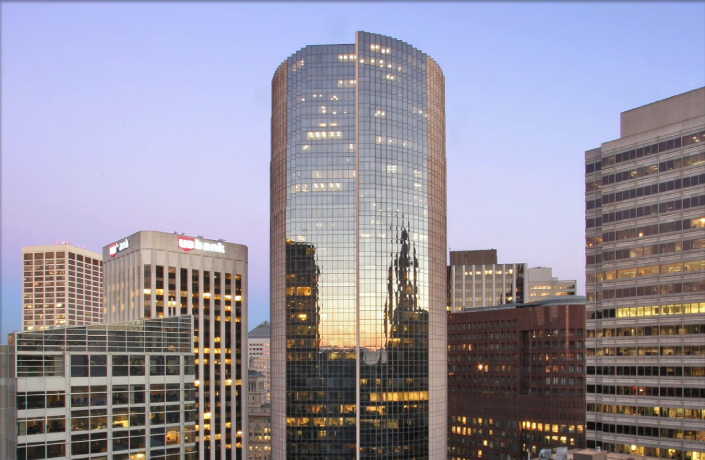 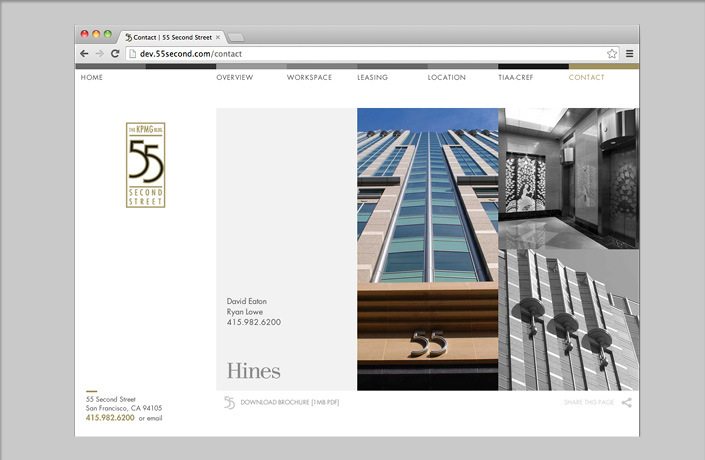 Hines is an international real estate firm known for development of high-quality and highly efficient commercial and mixed-use properties. 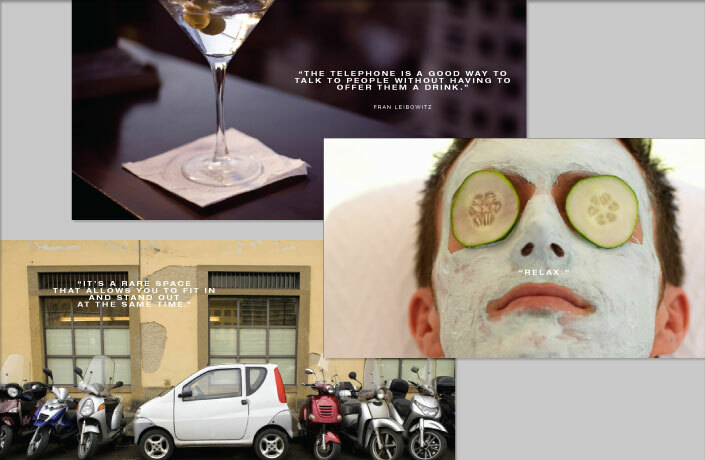 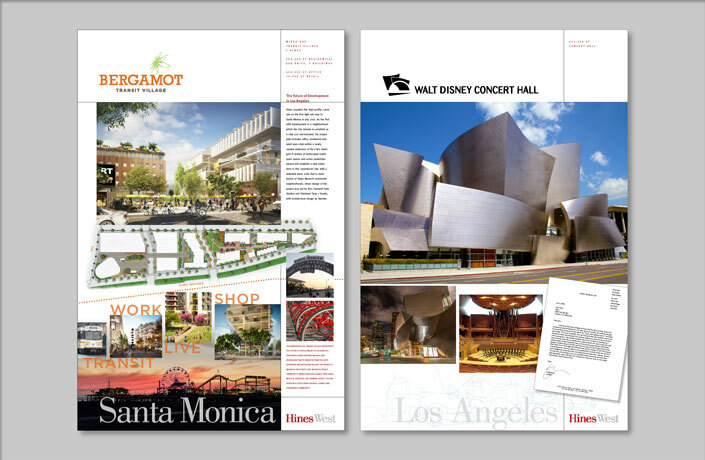 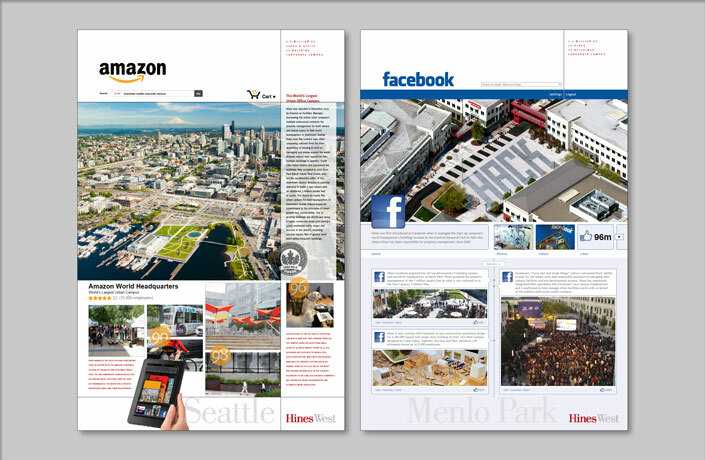 L Studio has worked with the West Region of Hines since 1987 to create both corporate and project communications materials that respond to changing market opportunities in the Northwest, California, and in the Asia Pacific region. 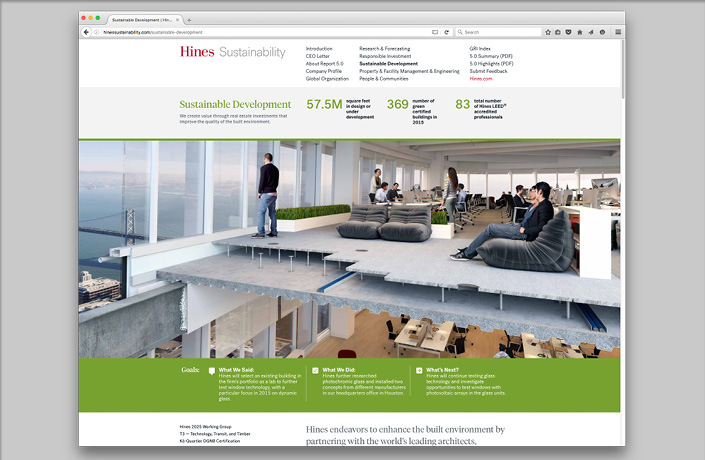 Our assignments have ranged from the design of a poster series of the Hines West and Asia Pacific regions’ portfolio, to project branding for dozens of new developments and acquisitions, to marketing materials that support ongoing leasing needs and broker relations, to the first corporate sustainability reports for Hines. 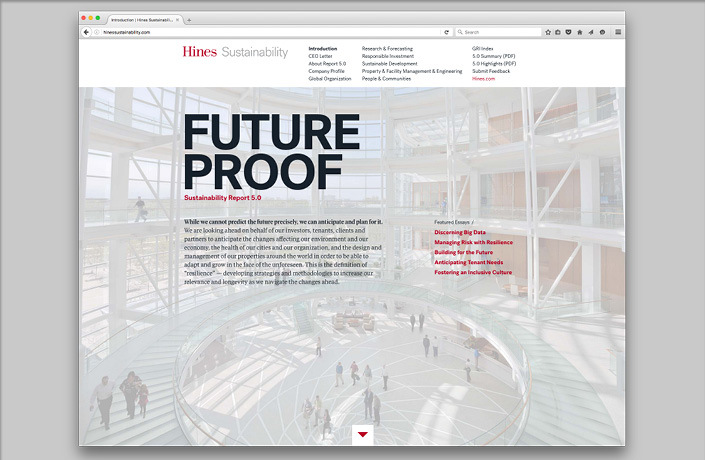 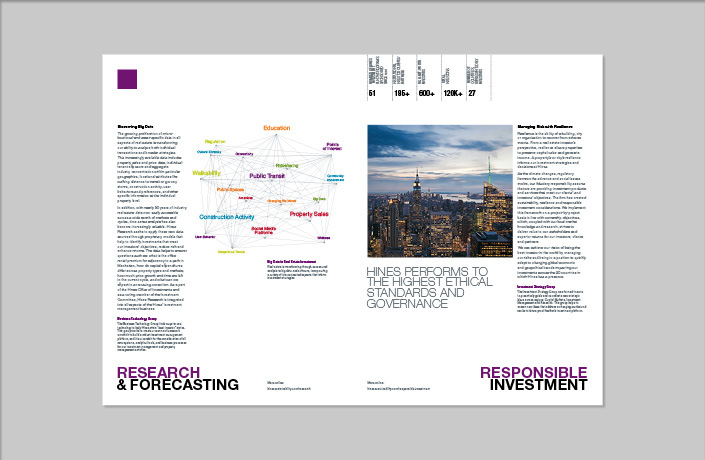 Design and development of Hines Sustainability 4.0, in both print and online reporting format, based on the Global Reporting Iniatitive (GRI) framework. 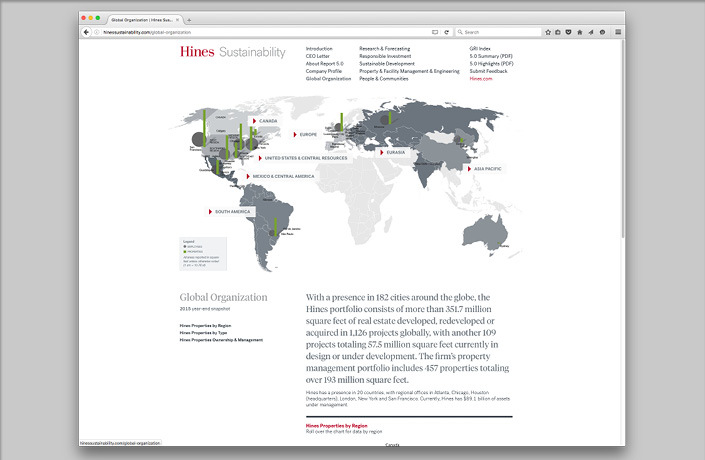 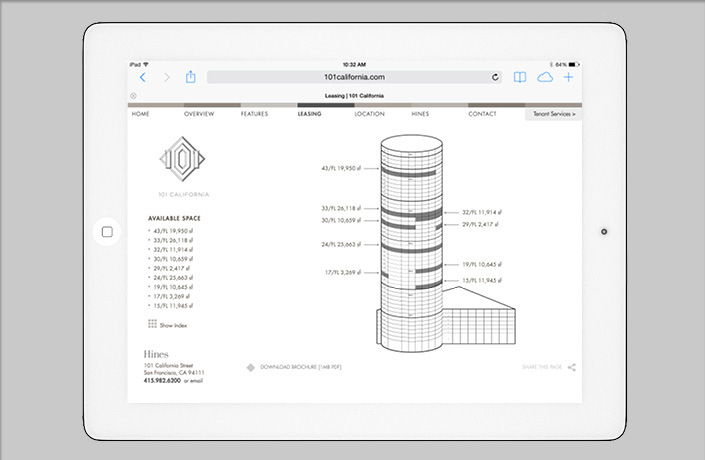 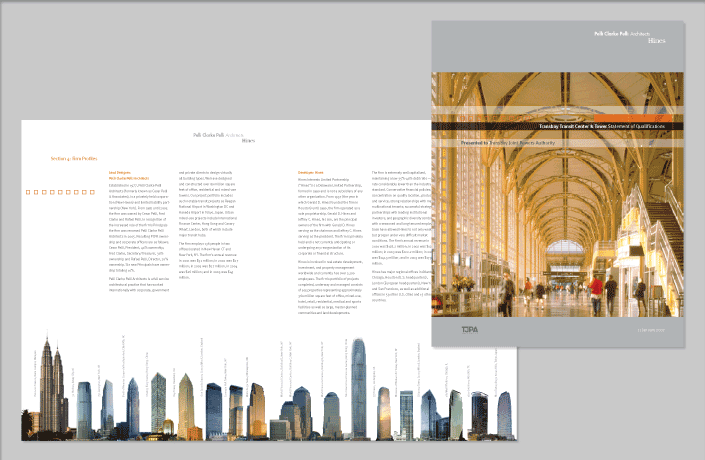 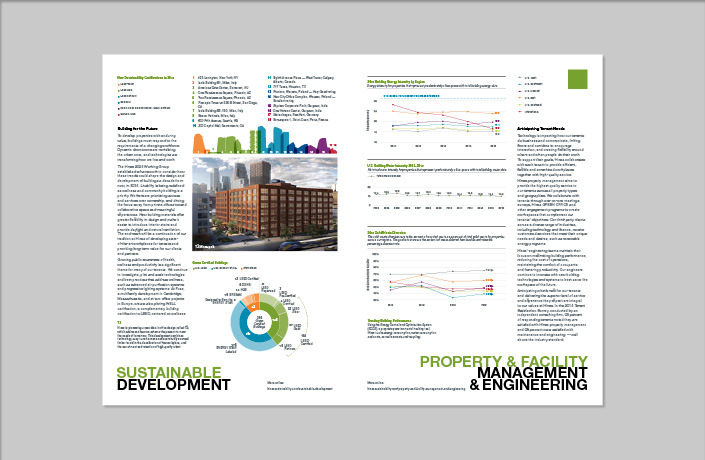 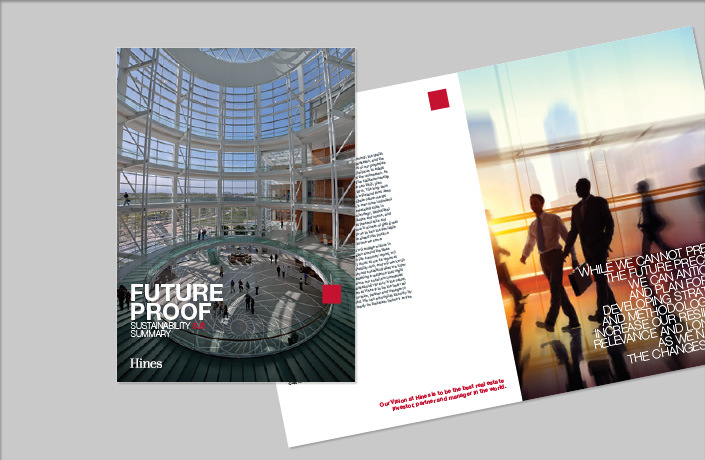 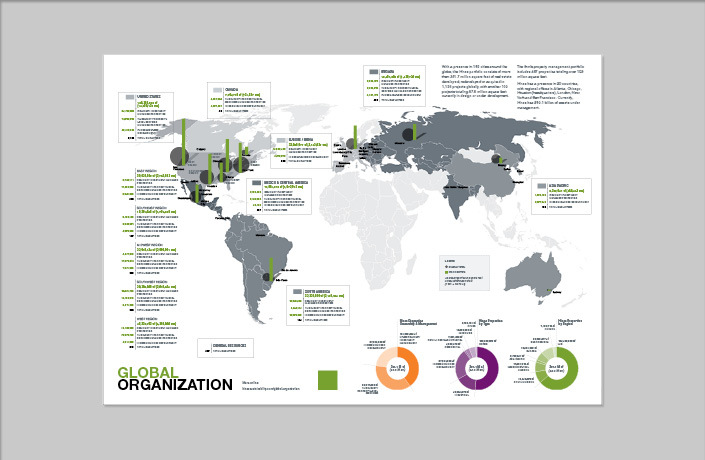 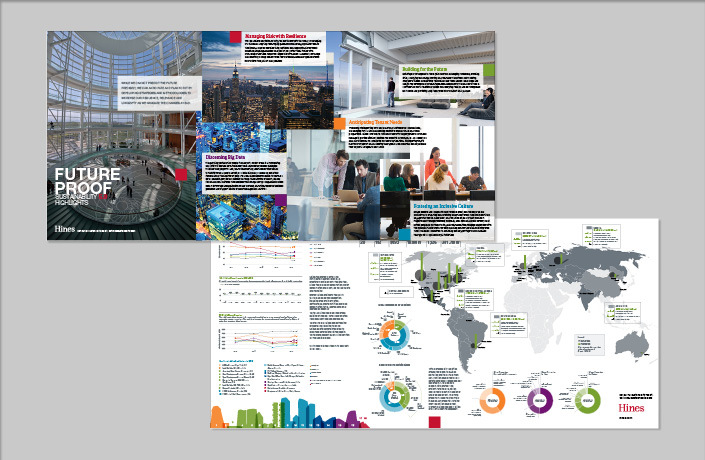 This is the fourth in a series of sustainability reports that L Studio has produced for Hines. 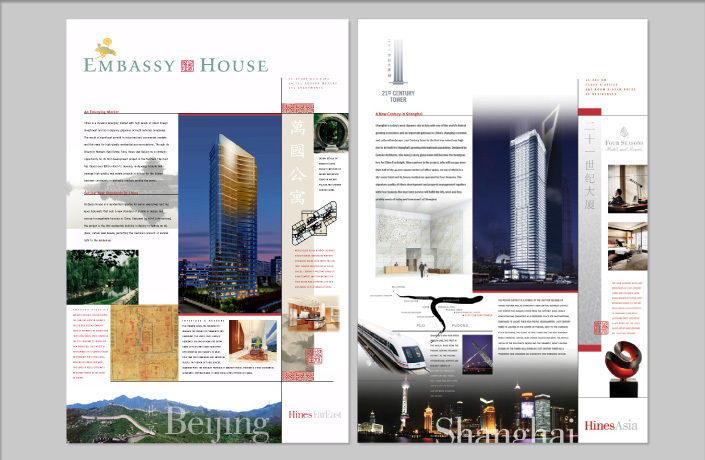 Design of a poster series that communicates the unique story and context for development and property management projects in the West Region and China. 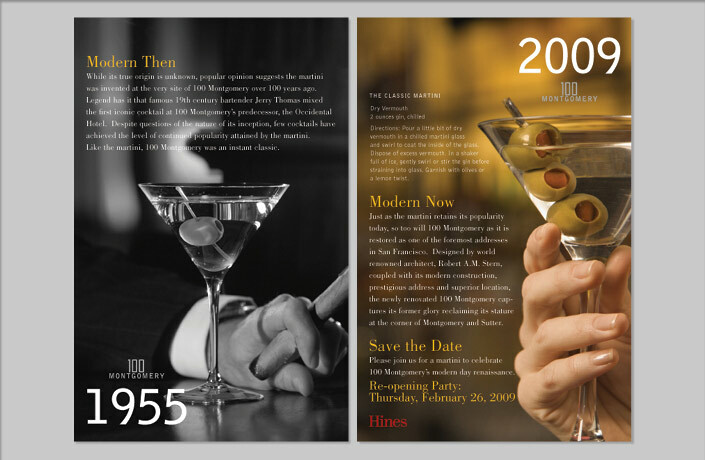 Since the inception of the poster series in 2000, over 70 posters have been produced for display in the Hines regional offices. 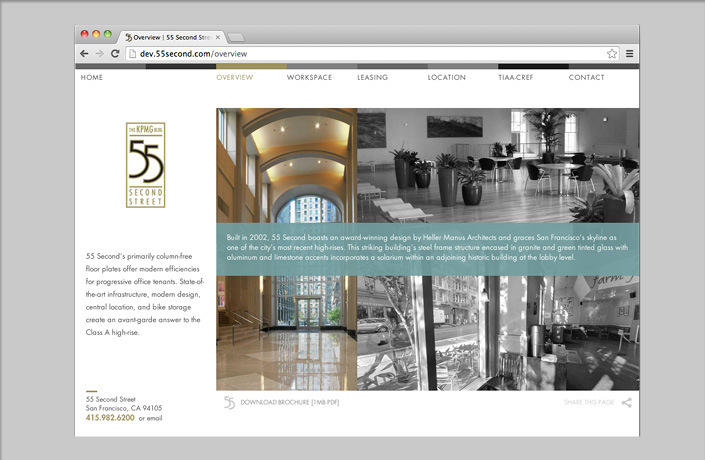 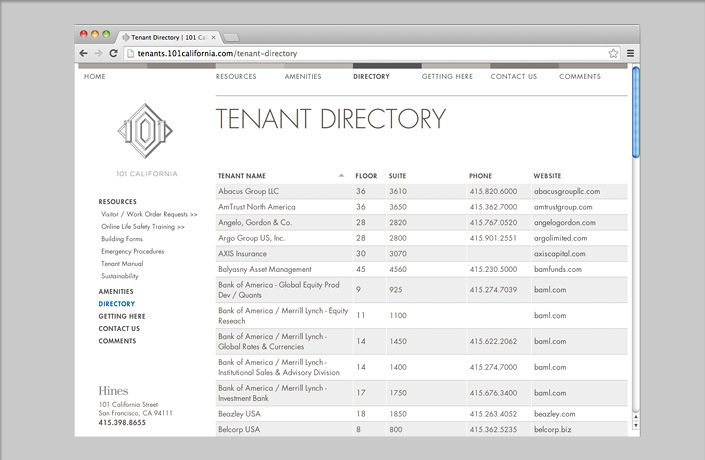 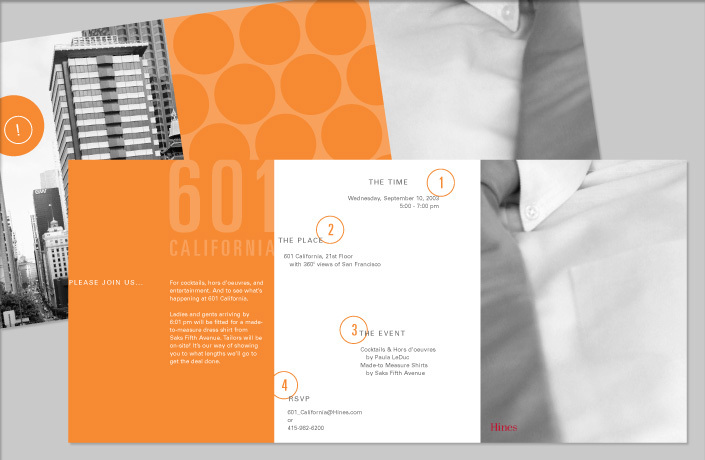 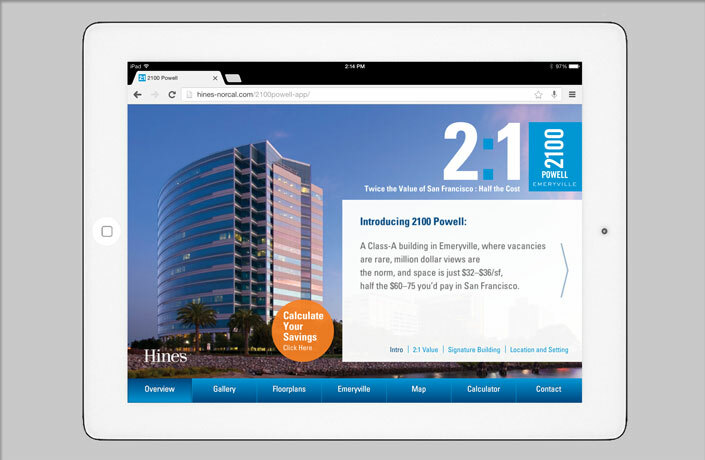 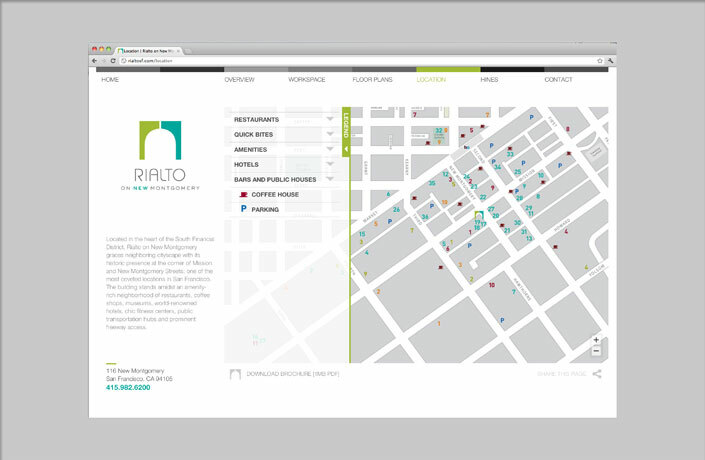 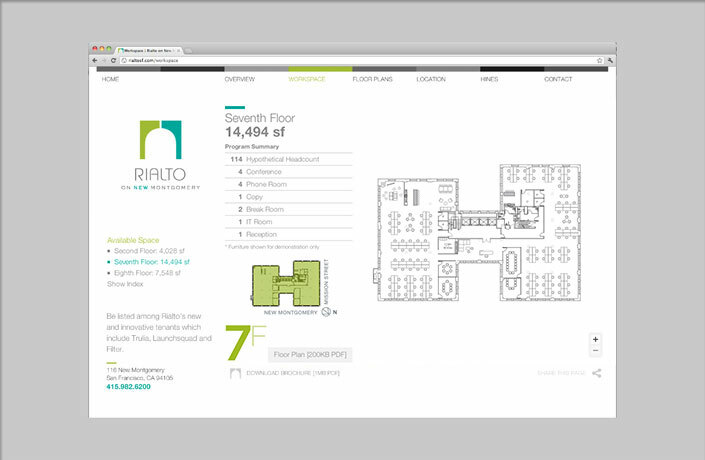 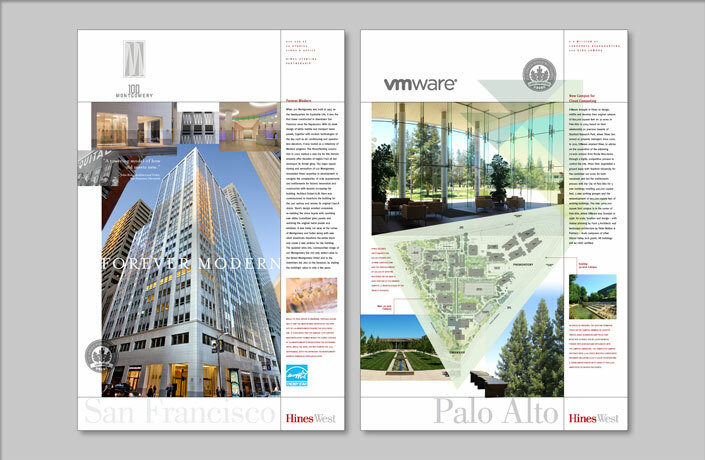 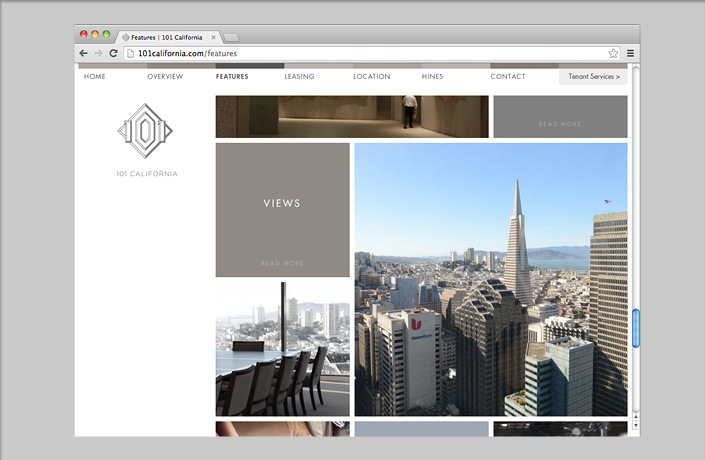 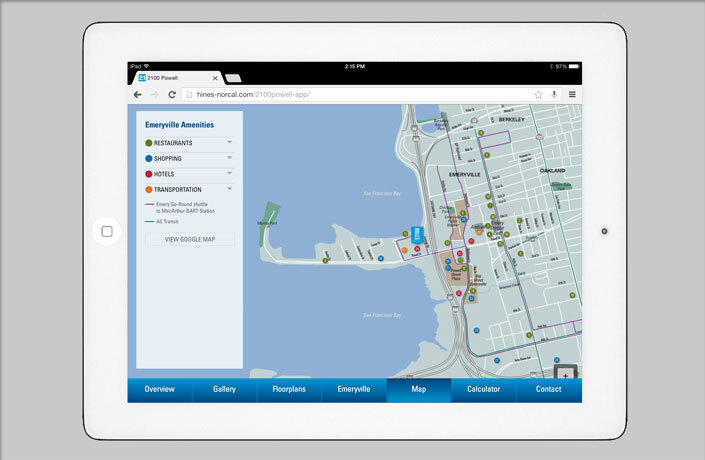 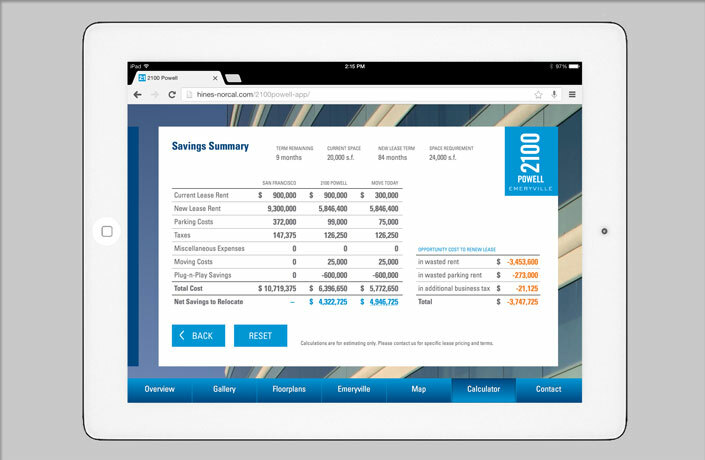 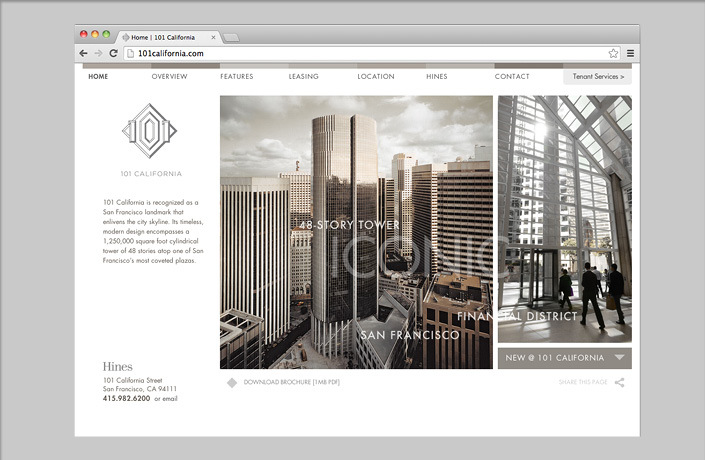 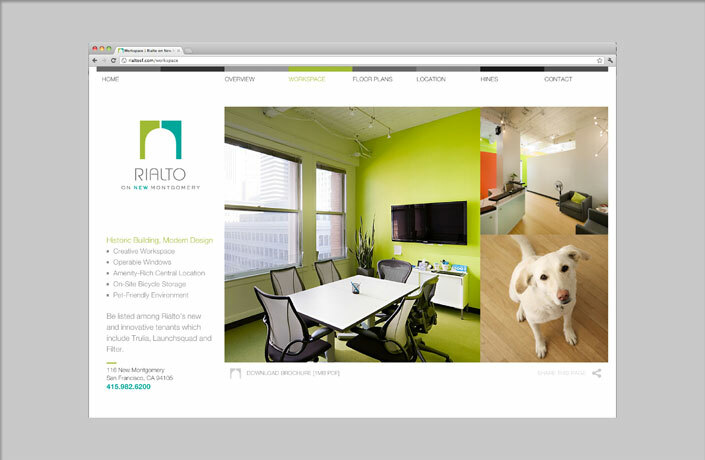 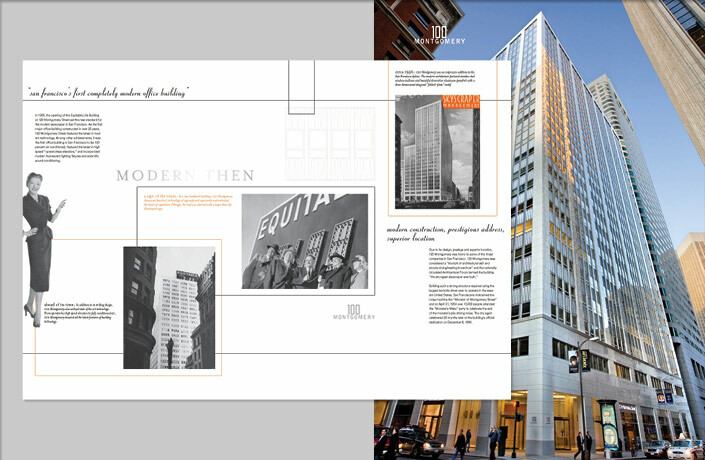 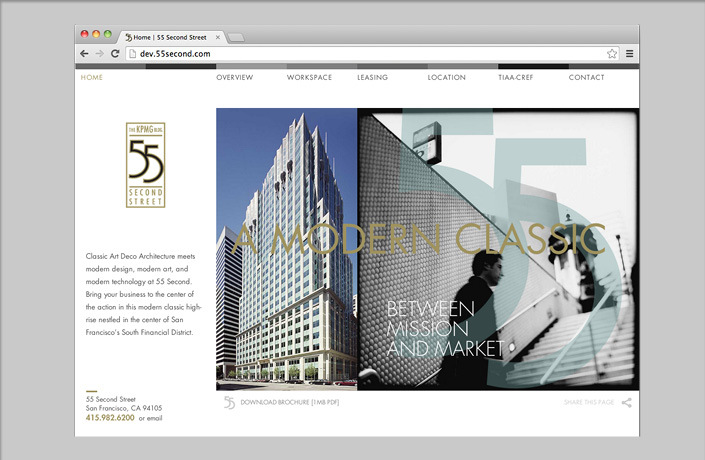 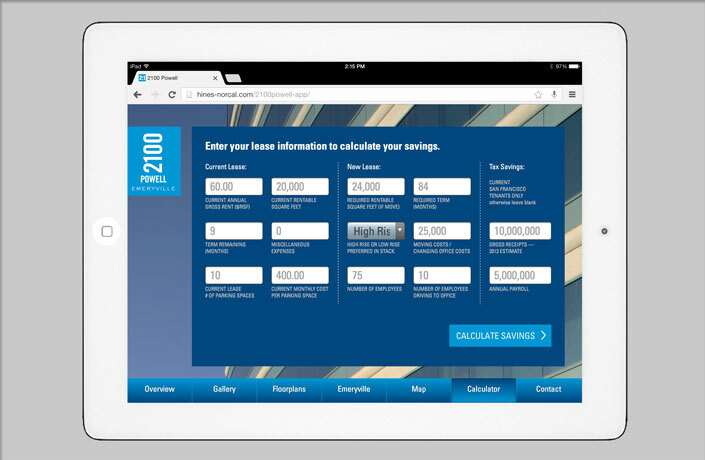 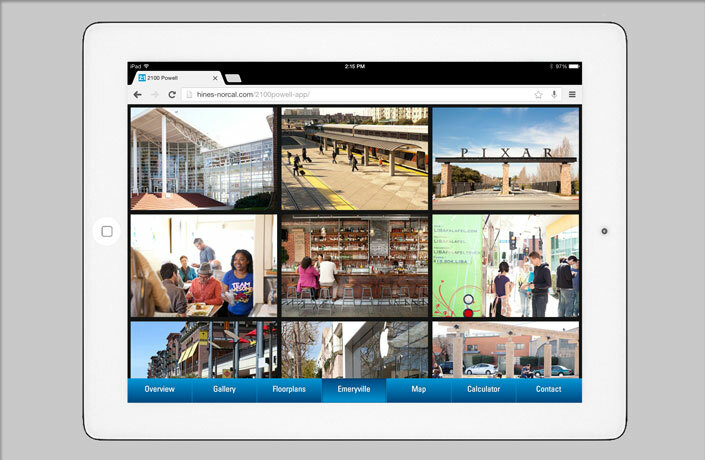 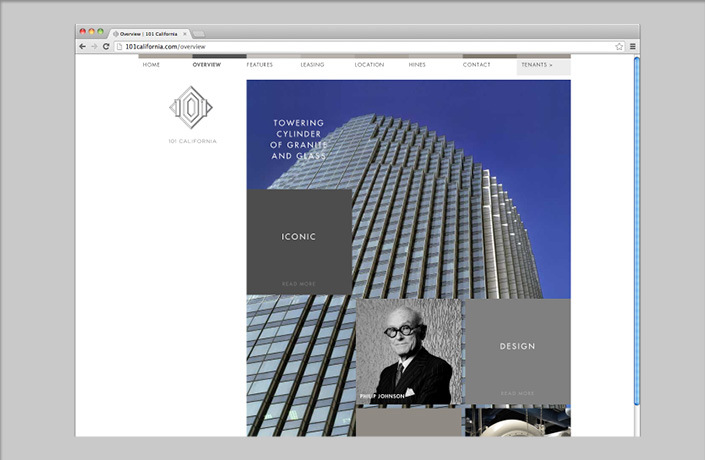 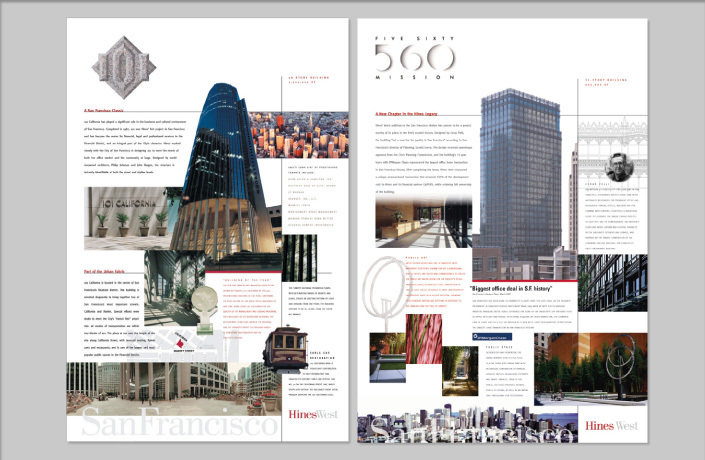 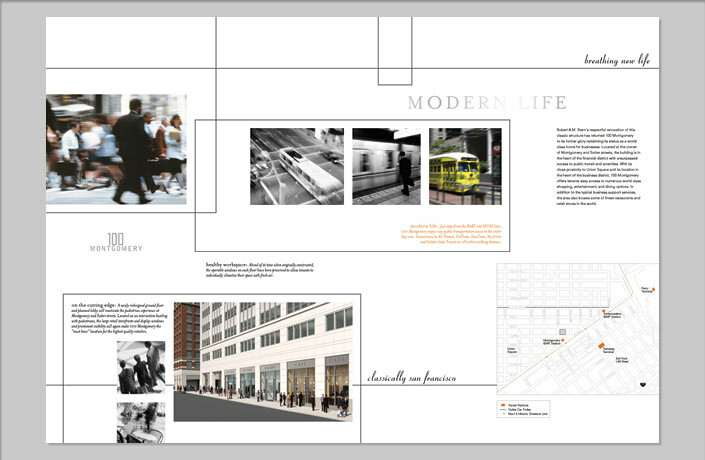 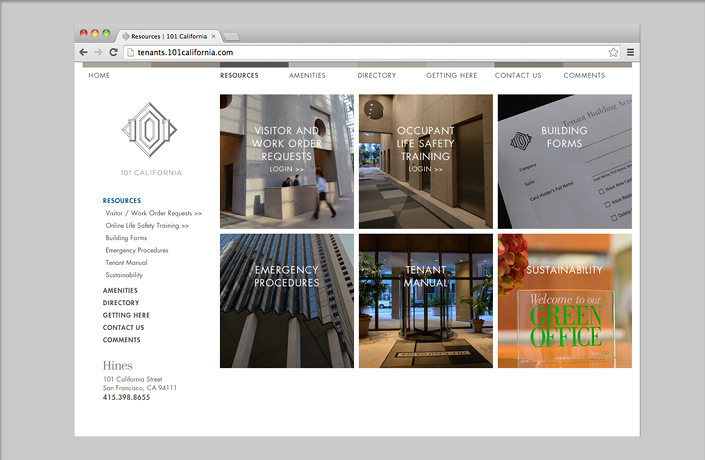 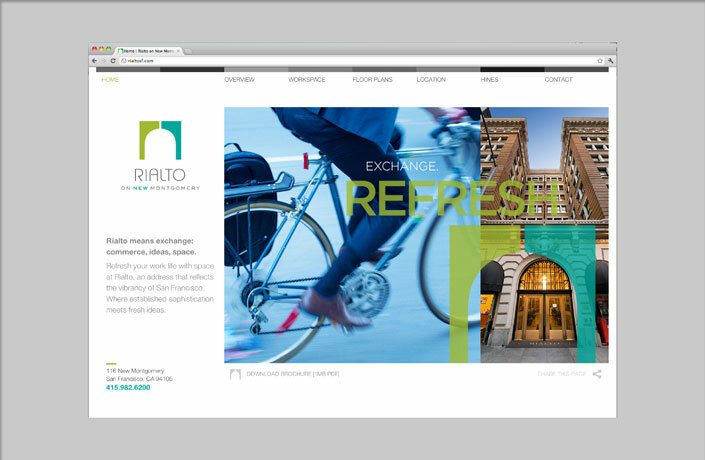 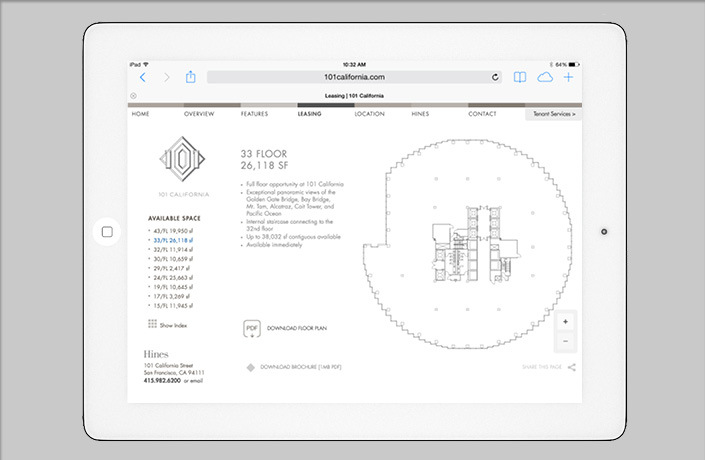 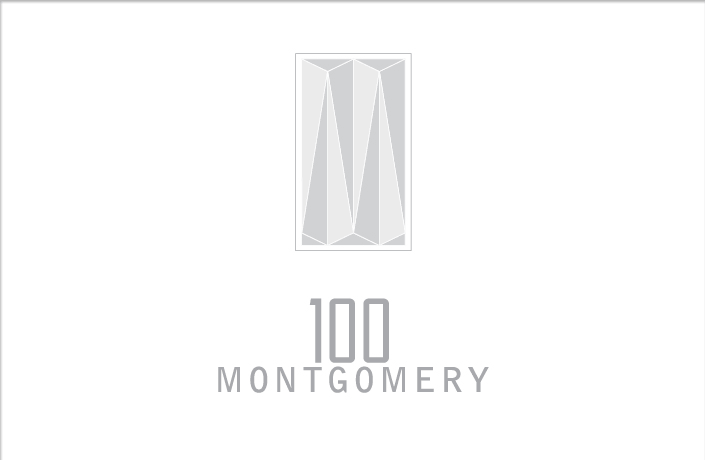 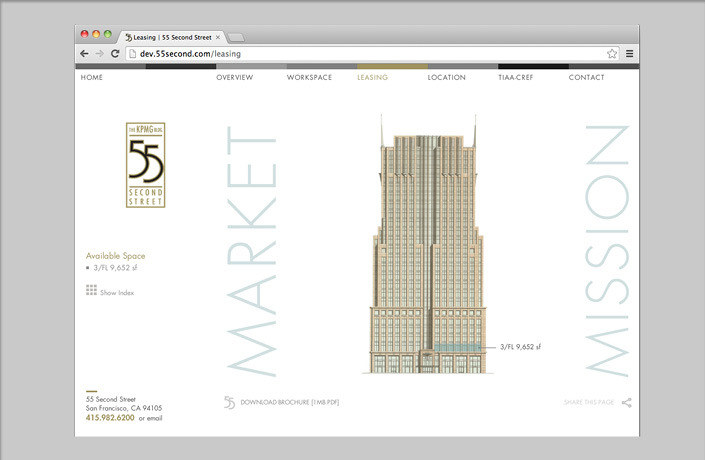 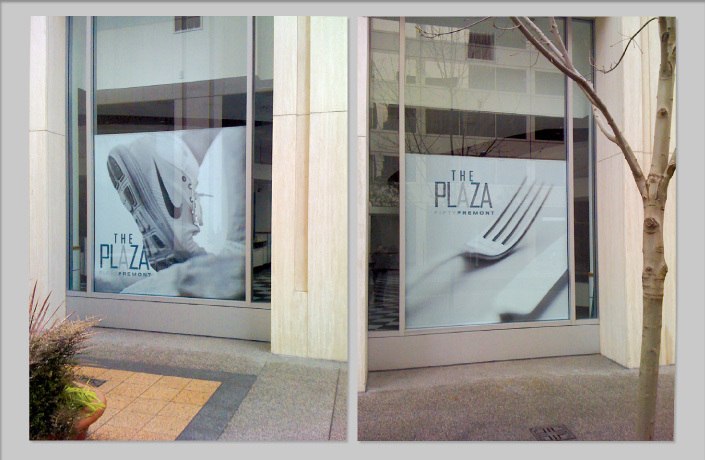 Design of a standard template for project websites for the Hines West Region and development of multiple project websites for leasing and tenant communications, including 101 California, 55 Second Street and Rialto in San Francisco and 2100 Powell in Emeryville. 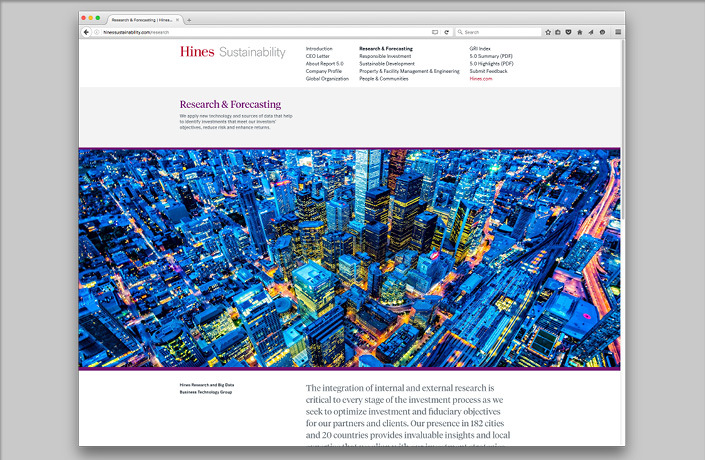 Over the long tenure of L Studio’s relationship with Hines, we have produced communications pieces ranging from leasing websites and collateral, to planning documents, proposals, invitations, and tenant manuals for many of Hines’ properties in the West Region and China.